Microsoft's big mobile phone ambitions just got a lot smaller. The company said Wednesday it will sell its entire feature phone business to FIH Mobile (FXCNY), a Foxconn subsidiary, and a Finnish company HMD Global, Oy for $350 million. The sale is the latest development in a yearlong unwinding of one of Microsoft's most controversial business decisions. After former CEO Steve Ballmer had already announced his retirement in 2013, he orchestrated the purchase of Nokia's struggling mobile phone business. Nokia was one of the few smartphone brands that had embraced Microsoft's Windows 10 operating system. At the time, Nokia was also the world's largest feature phone maker, selling basic, inexpensive handsets to customers all over the world. But that business never really meshed with Microsoft's mobile strategy. Microsoft's current CEO, Satya Nadella, made sweeping cuts in the Nokia division, laying off 18,000 employees in 2014. Last year, he cut another 7,800 jobs in the smartphone hardware business and scaled back Microsoft's emphasis on phones. FIH Mobile will get all of Microsoft (MSFT) feature phone assets, including brands, software, and customer contracts, as well as its factory in Vietnam. Interestingly, HMD has signed a licensing deal with Nokia (NOK) to put the Nokia brand on its new devices. So in some ways, the Nokia deal with Microsoft has come full circle. 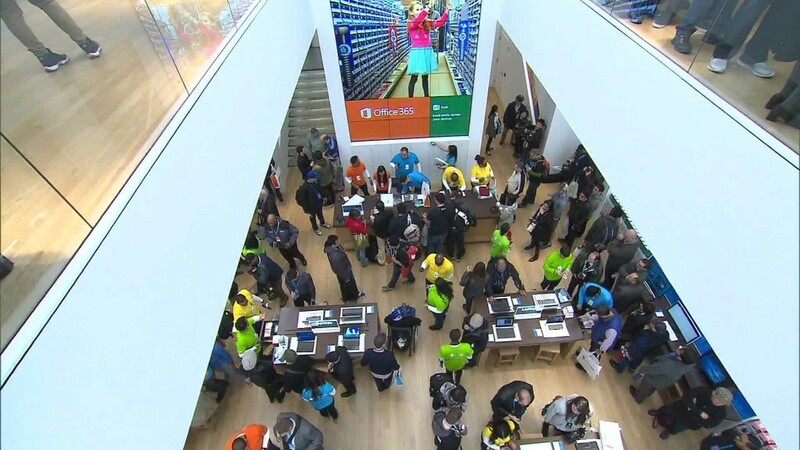 Microsoft said it is going to keep the smartphone business. It will continue to develop Windows 10 Mobile and support Lumia phones, though that business has not been successful. Microsoft has been unable to take significant share of the smartphone market from Apple (AAPL), Google (GOOG), and Google's Android partners, such as Samsung. Correction: An earlier version of this article said Microsoft is selling the business to FIH Mobile. There are two buyers in the deal: FIH Mobile and HMD Global, Oy.